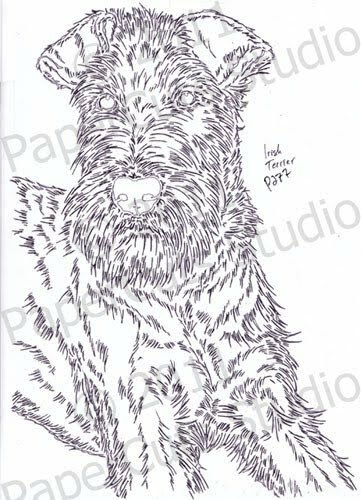 Finished off a new Irish Terrier pattern to replace my old outdated one. 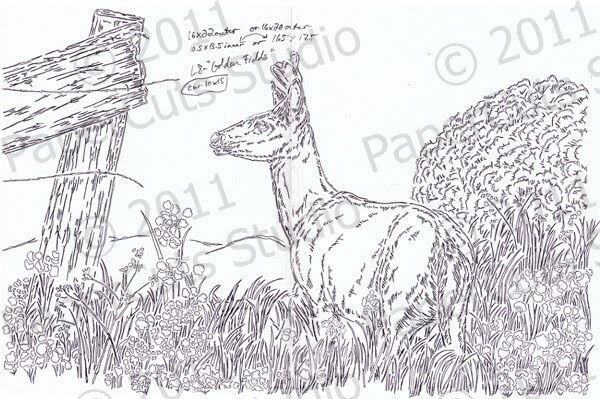 Finished drawing a pattern for another large single-edition piece of a deer (black-tailed?) in a meadow with flowers, golden grass, and an old weathered fence. I took the inspiration photo for this one the last time I was in California visiting family. 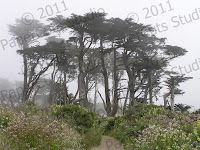 This one was also from the Point Reyes area. Some beautiful scenery up there! I just started working on a new project- something a little different. 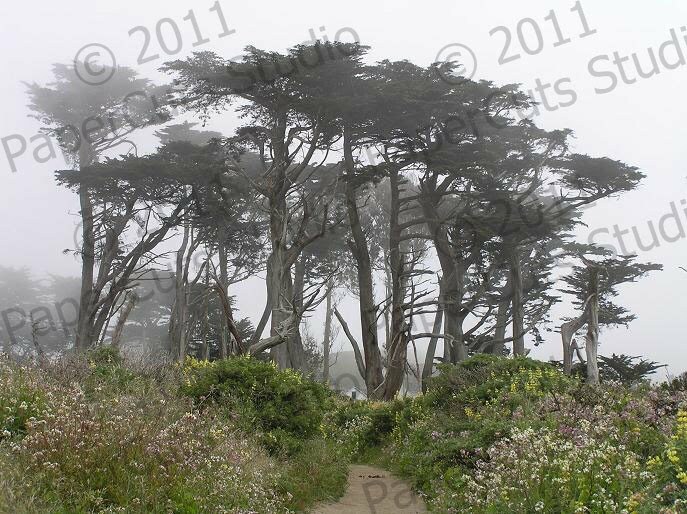 I am doing a silhouette-style cutting out of black paper inspired by this fantastic cluster of trees that I photographed just off the ocean at Point Reyes in CA.. I was out there last spring to visit my sister, and I got a shot of the trees as the fog was rolling in, whiting out the background behind them. By the time we came back past them, you could barely see them at all because it was so foggy, so I snapped the pictures just in time!